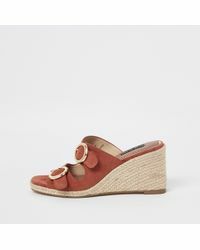 River Island is a well-established British brand that is well known for the broad range of lines that incorporate trend driven style across footwear, accessories and clothing. 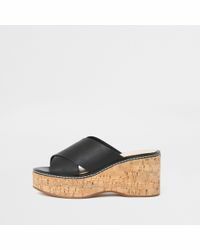 The brand has made affordability one of its major selling points, which is why it has become one of the most popular high street brands in the world. 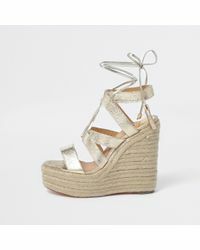 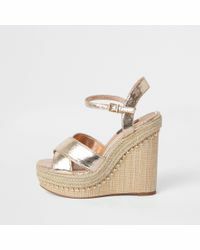 The line of wedges from River Island includes super summery lime metal trim T-bar raffia wedges that will easily take you from beach to party and back. 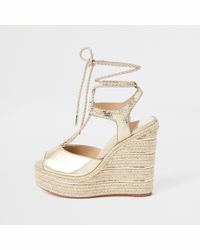 There are practical wedge designs, such as wedge boots and hidden wedge high-tops, as well as peep toe styles in glamorous glitter.